Bologna: Erudite, Red and Fat. 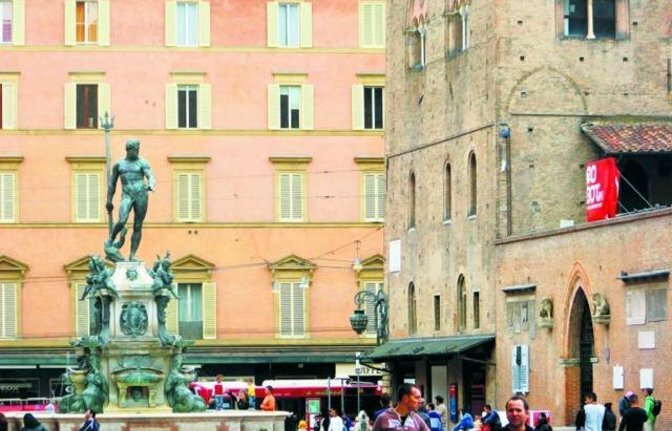 Bologna, chief town of the Italian region of Emilia-Romagna, has been given three nicknames: "La dotta" (Erudite), because of its well-known medieval University founded in 1088, and its 100, 000 or so students contribute considerably to the liveliness of the scene. The nickname "la rossa" (Red) is due to the color of its roofs, the most amazing way to see them is from the tower "degli Asinelli". 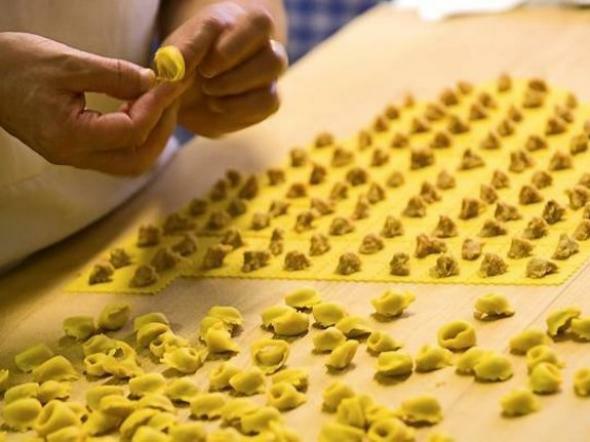 Bologna is also called "la grassa" which means fat because of its delicious cuisine. 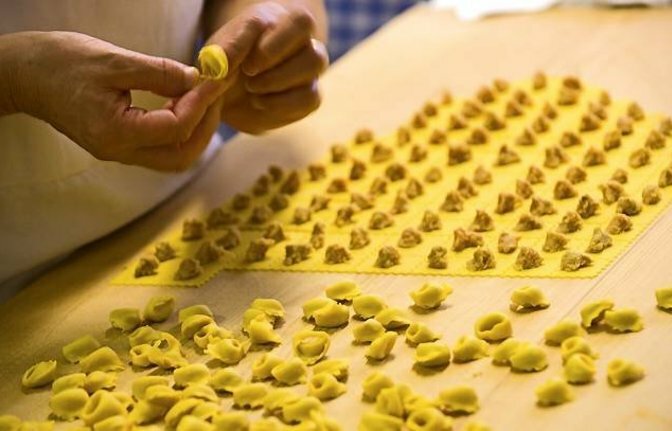 If you visit, make sure you go to one of the many "trattorie", they are cheap, cozy and old fashioned restaurants where you can taste all traditional Bolognese plates such as tortellini, lasagne, mortadella and many more. 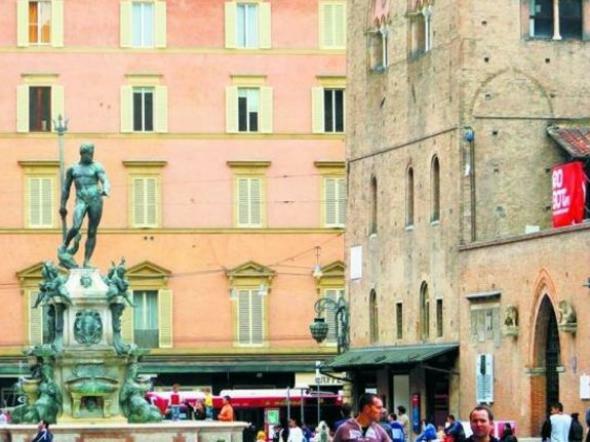 The tour starts at Piazza Maggiore, the heart of Bologna with its main red coloured buildings: the City Hall, the Podestà Palace, the most famous Neptune's Fountain, the King Enzo's Palace and the Sala Borsa. 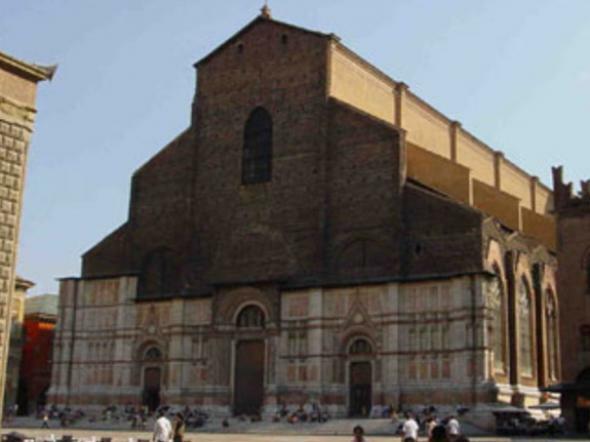 You'll admire the Basilica of Saint Petronio (visit inside according to opening hours), one of the biggest churches in the world and the only one with the longest sundial in Europe. 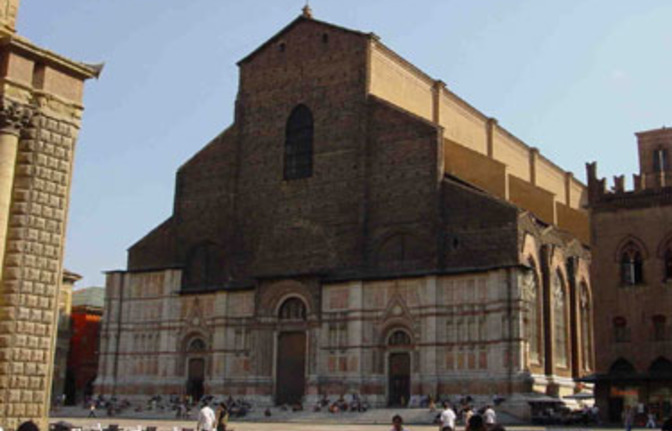 The tour will continue with a visit of the first seat of the University of Bologna, Archiginnasio (visit inside, closed on Sunday) and its famous Anatomy Theatre dated 1637. After we will walk through the historical Food Market towards the gothic Merchants' Palace and the Saint Steven's Church, better known as the Seven Churches (visit inside according to opening hours). 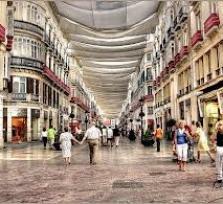 Then finally we'll pass through Isolani Court with its old wooden arcade, one of the almost 40 km porticos going through the city centre and we will reach the Two Leaning Towers, Asinelli and Garisenda which are undoubtedly the signature symbols of the city.